Back in April I shared that I wanted to update the girls bedroom. It was actually one of the things listed in my "Goals for 2014" (#4) and so it is time to get serious. 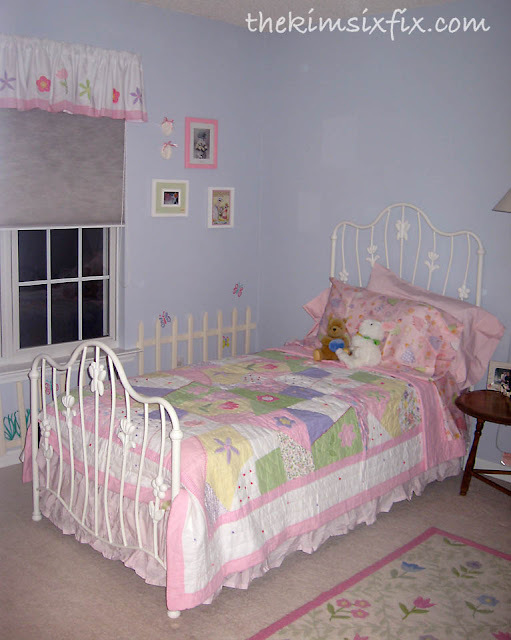 I know you often see children’s rooms in blogger’s home tours and there is just NO STUFF in them. Maybe a few gorgeously staged toys on a shelf... maybe, but I’m keeping it real. I feel like half the purpose of blogs is figuring out what will and work for people in their own homes, and so I want to be totally candid about how a room acts FUNCTIONALLY. I think my readers deserve that. Could I pull everything out and make it prettier? Yeah. But that isn't how I roll.. However, that doesn't mean I won't try to disguise and hide the stuff as best I can. I don't necessarily want to look at it all the time, and I am not above putting it behind some cute little curtains.. Which is exactly the plan. I want to do something similar to what Bright Green Door did by adding curtains along the bottom to make it a little ‘play area’ and a place to hide all the clutter. And whoa baby! !.Do we have clutter! To do this I will probably re-use the current window curtains (they are blackout curtains to cut down on the pounding California heat, but we recently had replacement windows installed and they aren’t as necessary as they once where). Plus I would love to lighten up the windows and get rid of the valance too. As for new window treatments, I am envisioning something like these since there is already so much going on in this room..
I’m not exactly sure what I will do with the floor coverings (if anything). And I am still undecided about lighting as well. These aren’t huge changes to the room, but just enough to freshen it up and make it feel “new again.” I hope to do the entire transformation for less than $200 (plus the $300 I already spent on the loft) for a grand total of $500. We’ll see how it goes.. Fingers crossed! Trofast is great. I'd wish it had bee, when my kids were small :-) But seriously: I agree, that home has to be practical and work for you. 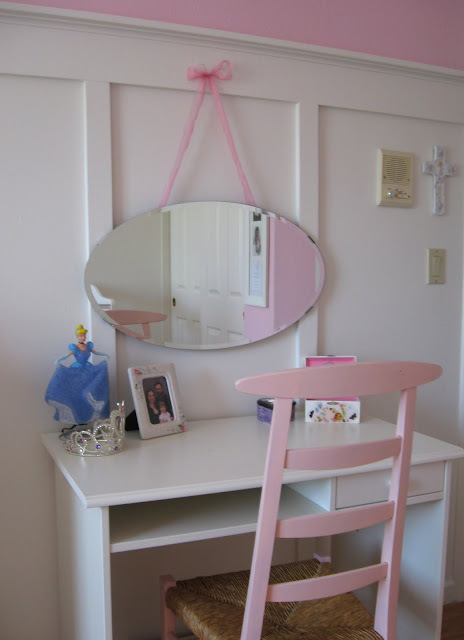 I have always wondered the same thing as you when I look photos of kids' rooms: does they really have so few toys? I need to plan my projects more carefully. I've never done a moodboard and I can see how it would help a ton! I love your ideas! 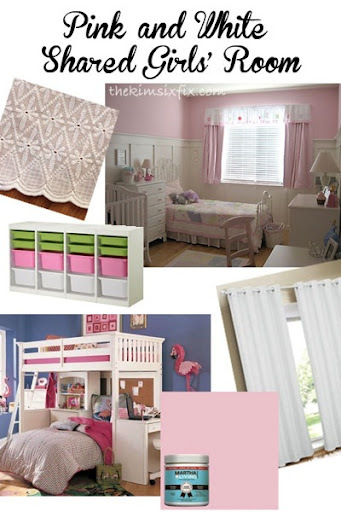 I like real and unstaged photos of kids rooms! We don't live in magazines and it only feeds the comparison monster and adds to our guilt when we see pics like those. I look forward to seeing the completed room! Love that loft bed. I love that color pink, it's soft and not too loud. If I ever have a daughter your ideas are exactly what I would attempt doing. Love the pink you chose, I'd love to use something like that in my house one day. You're way more organized in your planning than me! I kind of attack each room in a whirlwind and never finish anything. I think I like your approach better. Hahaha. And of course I'm all for keeping it real! !